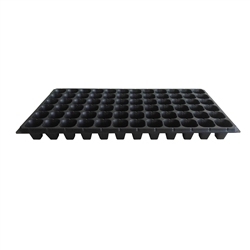 Hydro Crunch 72 Cell Seedling Propagation Insert Grow Trays are great for use in any garden indoors or outdoors and they can be cleaned and reused again and again. Each cell measures: 1.4 in. square X 2.25 in. deep. This tray is made to fit a standard 10x20 tray. Ultra-durable, high-quality, BPA Free 72 Cell Tray (with drain holes). Made to last multiple seasons Trays are NOT flimsy or brittle. Seedling tray with material won't crack or break during transport. Extra strength propagation 10x20 trays allow roots to grow through. Makes for a great germination station. 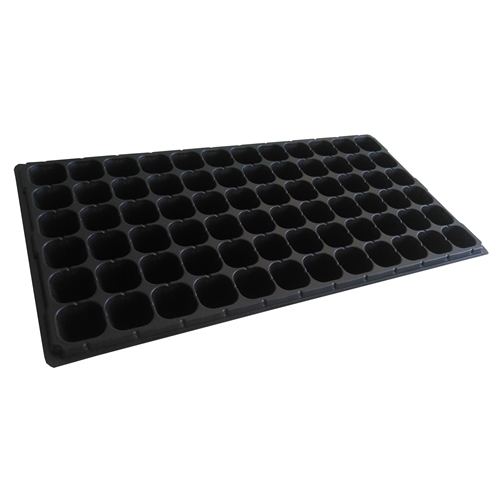 Fits any standard 10x20 Tray including Hydro Crunch Heavy Duty Flat Grow Trays. Germination tray: 21.25 in. x 11.25 in. Dimensions 21.25 in. x 11.25 in.